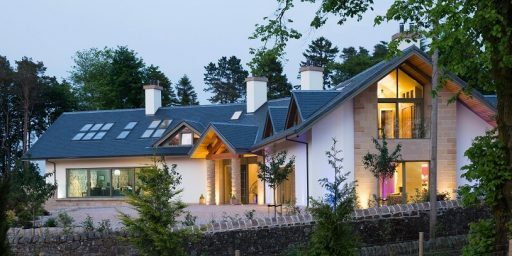 CUPACLAD® 201 was the perfect cladding system for this contemporary residential complex. Our innovative ventilated façade systems create a modern look to these buildings while offering a sustainable cladding solution. These apartment buildings are located in Fredericia, in the eastern part of Denmark. 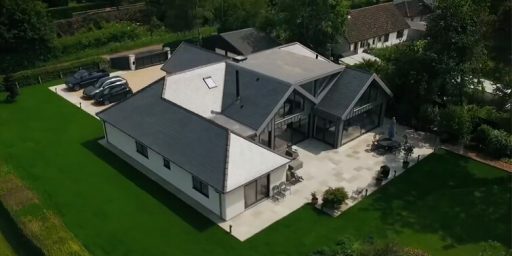 In order to get a unique character but also a durable building, the façades of these modern dwellings were covered with our natural slate rainscreen cladding systems CUPACLAD®. 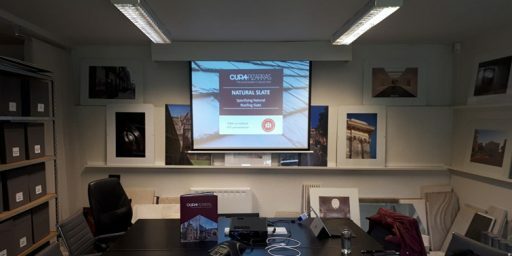 CUPACLAD® systems have been developed to be able to adapt to any kind of project combining alternative fixing methods and slate formats. For this project, the architects chose CUPACLAD® 201, identified by the use of stainless steel visible fixings. 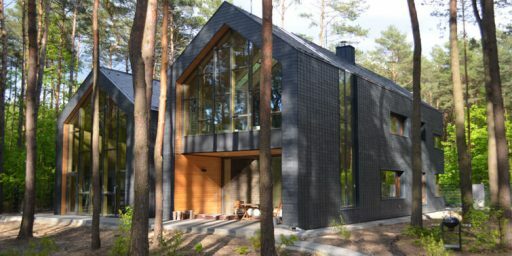 The contrast between natural slate and steel gives this cladding an exclusive contemporary appearance. 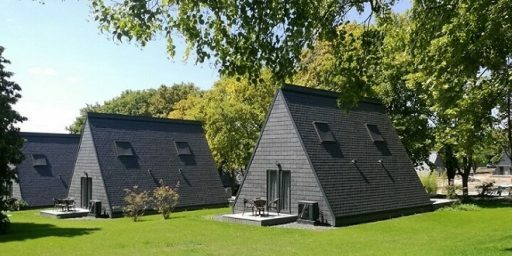 CUPACLAD® 201 series used for the Fredericia residential complex features 60×30 cm slates (with a nominal thickness of 7.5 cm). CUPA PIZARRAS natural slates are fitted horizontally with visible stainless steel brackets, which have been designed by our R&D department. 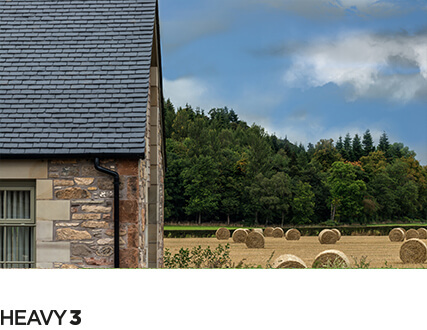 Every slate is fixed to the battens using two brackets that remain partially visible once the system is installed. The combination of big slates and stainless steel brackets gives as a result a clean combination of modern appeal. 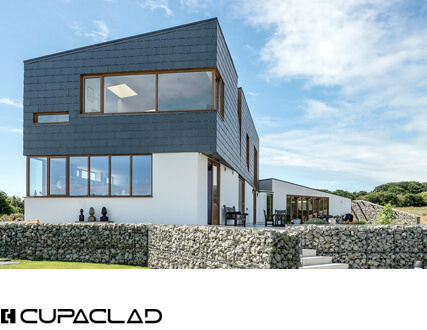 CUPACLAD®: the perfect alternative for an efficient and sustainable water resistant cladding. 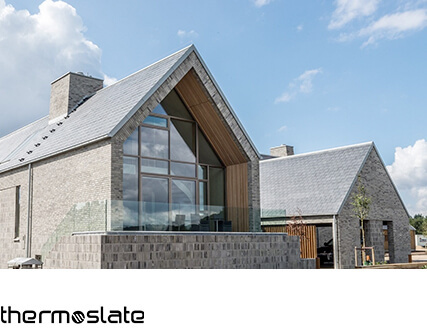 Developed alongside Danish architects and contractors CUPACLAD® systems offer a revolution in cladding applications for natural slate. The systems offer a new durable, sustainable and easy to fix alternative with a unique character. 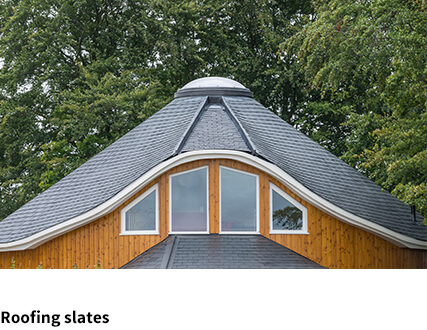 Our Exclusive Cladding Range ensures a quick and easy installation due to our selection process for regularity and flatness (against other standard Roofing selections). They are also holed in a specific position depending on the CUPACLAD® system of choice. Even the packaging, smaller in size and weight, is designed for ease and to shorten the installation process. 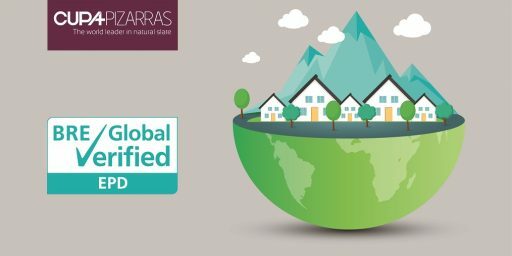 For further information about our sustainable ventilated façade systems, visit our website.